Dell Precision 5520 Laptop 15.6" Intel Core i7 32GB RAM! 4GB Graphics+WARRANTY!! Up for sale is a new Dell Precision 5520 Laptop. 2.9ghz i7 processor. 4gb dedicated graphics card. Dell Complete Care warranty until September 06, 2021! Can also call/text at 26721737five six. Model 8HRPD. Product Type Ultrabook. SSD 256 GB. Notebook Type : Ultrabook. Featuring secure and essential work features and an optional touch display. Available with Windows 10 Pro - for a smooth, versatile PC experience. What you see is exactly what you will receive. Nothing more or less. Most of our units are built for US power outlets supporting 110V - 120V. 256GB Solid State Drive. Make: Dell. Manufacturer: Dell. 8GB LPDDR3-1866 Onboard RAM. The compact size and lightweight design of this laptop makes it a great choice for people that are always on the move. Designed for productivity and performance, the 15.6" Latitude 15 5000 Series Notebook from Dell provides improved security and flexible docking options. If you need more RAM, this system accepts up to 32GB, using one 16GB module in each of the 260-pin SO-DIMM slots. 13.3" FHD (1920 X 1080) Touchscreen InfinityEdge Display andHD Webcam. Dell Chic-Let Keyboard & Precision TouchPad, Backlit Keyboard, FingerPrint Reader. Dell Pro Support Until February 28, 2020. Windows 10 Pro 64 Bit. 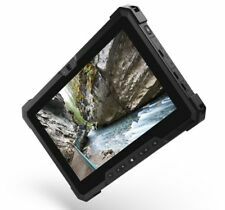 Dell Latitude 7212 Rugged Tablet 11.6" FHD TOUCH i7-7600U 16GB 256GB SSD Dual Webcam Windows 10 Professional 3 year Warranty. Hard Drive 256GB Solid State Drive. Warranty 3 Year Warranty! Warranty can be transferred. 7500U (2.70 GHz). DELL Inspiron 5378 13.3" Touchscreen i7-7500U 2.50GHz 8GB RAM 256 GB SSD W10H. Note: Dell PCs and notebooks do not include recovery CDs. 256 GB SSD. Original Dell Power Adapter included. Trending at C $667.21eBay determines this price through a machine-learned model of the product's sale prices within the last 90 days. Warranty end dates shown for these products may be an estimate. The warranty end dates for peripheral devices, such as monitors and batteries, may be different from the warranty end date for your product. Make: Dell. Q: Are Your Prices Negotiable?. 15.6" display. Model 5289 (99WF7). Part Number 99WF7. Now with the ability to attach magnetically to your device, so it’s always nearby when you need it. 12.5" Touchscreen 1920 x 1080. Screen 12.5" Touchscreen. Storage 256 GB M.2 SATA SSD. DELL Latitude 7285 2-in-1 12.3" 3K TOUCH i7-7Y75 16GB 256GB PCIe SSD IR Cam Windows 10 Professional Warranty. Chassis Latitude 7285 2-in-1. Warranty 1 Year Warranty! This computer is covered by Dell Warranty Repair Service until June 2020. Dell Latitude 5289 2-in-1 Notebook i7-7600U 2.8GHz 16GB 256GB FHD(1920x1080) WIN 10 OFFICE 2016 Touchscreen. Manufacturer Refurbished. Excellent Condition. Touchscreen Dell Latitude 5289 2-in-1 Notebook i7-7600U 2.8GHz 16GB 256GB FHD WINDOWS 10 PRO Microsoft OFFICE 2016. DELL Latitude 7285 2-in-1 12.3" 3K TOUCH i7-7Y75 8GB 256GB PCIe SSD IR Cam Windows 10 Professional Warranty. Chassis Latitude 7285 2-in-1. Warranty 1 Year Warranty! This computer is covered by Dell Warranty Repair Service until June 2020. Every effort has been made to ensure the accuracy of all information contained in this ad. Product may differ from image shown. Factory Refurbished Products are refurbished to the exact manufacturer specifications by the original manufacturer in a certified refurbishing center. The warranty ends on October 23, 2021. Item #2355. The 7212 Rugged Tablet is the upgrade from the 7202 Rugged Tablet. 256GB Solid State Drive. 16GB LPDDR3 1600MHz (2 DIMMs). We open the box to conduct an external check of the tablet. Manufacturer - Dell. You will receive everything in the pictures. 256 GB M.2 PCIe SSD (Solid State Drive). Standard full size,backlit chiclet keyboard ; spill-resistant. 8GB LPDDR3-1866 Mhz SDRAM. Watch Video. You are the password: Choose between two secure, personalized ways to log on. The warranty ends on May 25, 2021. The laptop was booted to check the specs. 256GB Solid State Drive. 16GB DDR4 SDRAM AT 2400MHz (1 DIMM). We open the box to conduct an external check of the laptop. Top Rated SellerFrom United StatesType: UltrabookBrand: DellProcessor: Intel Core i7 7th Gen.
RAM 256GB BACKLIT WARRANTY. What you see in the picture is what you get. CPU Speed 7300U (2.60 GHz). DELL Latitude 5289 12.5" 2-in-1 Touch Core i-7300U 2.60GHz 8GB RAM 256GB SSD 1920x1080 Win10 Pro 64-Bit. DELL Latitude 5289 12.5" 2-in-1 Touch. Model 5289. Series Latitude. The laptop has a CompleteCare and ProSupport NBD warranty through Dell until January 25, 2020. The laptop was booted to install the OS and drivers. 256GB Solid State Drive. 16GB DDR4 SDRAM AT 2133MHz (2 DIMMs). 256GB Solid State Drive. Backlit Keyboard, English. 8GB, 2400MHz, DDR4. Tray load DVD Drive (Reads and Writes to DVD/CD). 802.11ac Bluetooth 4.2, Dual Band 2.4&5 GHz, 1x1. SD Card Reader (SD, SDHC, SDXC). The laptop has a Complete Care and NBD warranty through Dell until March 27, 2021. The laptop was booted to install the OS and drivers. 256GB Solid State Drive. 8GB DDR4 SDRAM AT 2400MHz (1 DIMM). Thunderbolt Port. Good Condition. Has (2) 1/4" scratches underneath digitizer glass outside of viewing area (See pictures). 256GB SSD. Fresh install WINDOWS 10 PRO. Microsoft Office 2016 Professional. Display 1 1.6” FHD (1920x1080) 16:9 Direct-View outdoor-readable display with gloved multi-touch AG/AR/AS/Polarizer. The laptop has a Complete Care and NBD warranty through Dell until January 16, 2021. The laptop was booted to install the OS and drivers. #6407, 6408. 256GB Solid State Drive. 8GB DDR4 SDRAM AT 2400MHz (1 DIMM). From United StatesType: UltrabookBrand: DellProcessor: Intel Core i7 7th Gen. The laptop has a Complete Care and NBD warranty through Dell until May 7, 2021. The laptop was booted to install the OS and drivers. 256GB Solid State Drive. 8GB DDR4 SDRAM AT 2400MHz (1 DIMM). 4-Cell Primary Lithium Ion Battery. 256GB Solid State Drive. 2GB NVIDIA N16-S-6MR-S. The warranty ends on June 23, 2019. Item #8820. 8GB DDR4 SDRAM 2400MHz (1 DIMM). Dell Wireless Dual Band 1820 Wireless Card. 4 Cell Lithium Ion battery. The laptop has a Complete Care and NBD warranty through Dell until November 1, 2020. The laptop was booted to install the OS and drivers. 256GB Solid State Drive. 16GB DDR4 SDRAM AT 2400MHz (2 DIMMs). Unit for sale is a Refurbished Dell Latitude 5480 laptop. The machine is running Windows 10 Professional with all drivers installed. This machine features a high-speed i7 7th Gen processor It will be ready to go out of the box! M.2 256GB Solid State Drive. 8GB DDR3 1867MHz RAM. AMAZING deal from a Reputable vendor. EXCELLENT GRADE A. One (1) 3.5mm Headphone/Mic combo jack. ~~ WARRANTY ~~. Two (2) SuperSpeed USB 3.1 Type-A ports. Dell Latitude 5289 2-in-1 (12.5" FHD Touch, Intel 7th i7, 256GB SSD, 16GB RAM..
256GB Solid State Drive. Make: Dell. Manufacturer: Dell. 8GB LPDDR3-1866 Onboard RAM. Color: silver. The compact size and lightweight design of this laptop makes it a great choice for people that are always on the move. The warranty ends on June 1, 2021. Item #1612, 1653, 9244. The 7212 Rugged Tablet is the upgrade from the 7202 Rugged Tablet. 256GB Solid State Drive. 16GB LPDDR3 1600MHz (2 DIMMs). We open the box to conduct an external check of the tablet. 16GB, 2400MHz, DDR4. Backlit Keyboard, English. Stereo speakers professionally tuned with MaxxAudioR Pro. 802.11ac Bluetooth 4.2, Dual Band 2.4&5 GHz, 1x1. SD Card Reader (SD, SDHC, SDXC). Display 1 1.6” FHD (1920x1080) 16:9 Direct-View outdoor-readable display with gloved multi-touch AG/AR/AS/Polarizer. Storage 256GB SSD M.2. Manufacturer Refurbished.